Number of Sleeping Rooms/Suites: 83 Number of Meeting Rooms: 1 Total Meeting Space: 240 sq. ft. 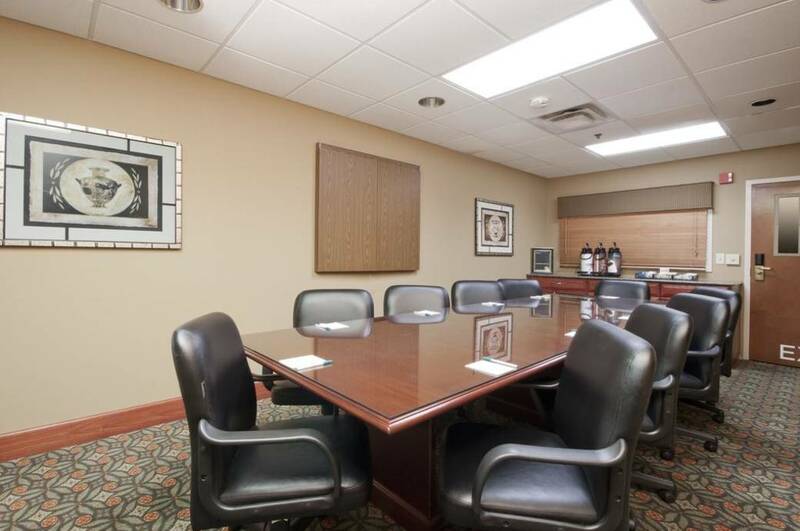 Type of Meeting Venue: Boardroom Distance to PHX Sky Harbor: 13 miles Distance to Phoenix Mesa Gateway Airport: 22 miles Enjoy your next meeting in our perfectly situated Boardroom for 10. The Quackers Room comes fully equipped with a large glass topped table, 10 mobile desk chairs and a well positioned bonus television with connect cables and a ready to use whiteboard. Food and Beverage options available upon request. WiFi included complimentary. Be sure to ask about our deeply discounted and/or complimentary rental fees with group bookings. Enjoy your next meeting with us. Description Enjoy your next meeting in our perfectly situated Boardroom for 10. The Quackers Room comes fully equipped with a large glass topped table, 10 mobile desk chairs and a well positioned bonus television with connect cables and a ready to use whiteboard. Food and Beverage options available upon request. WiFi included complimentary. Be sure to ask about our deeply discounted and/or complimentary rental fees with group bookings. Enjoy your next meeting at our newly renovated Homewood Suites by Hilton.